A picture says a thousand words. Keep your mom in your heart and show off your love for her in style. Gift her a Mother's day photo frame with her cutest picture and she is sure to remember your sweet gesture of love for a long time to come. Mother’s Day is a celebration of the bond between a mother and a child. It is the day when children pay their due appreciations and respect to their mothers. Although, a single day is not enough to celebrate every mother in this world, honoring them on Mother’s Day is also a great idea. Mother’s Day is indeed one of the nicest days of the year dedicated to the most important woman in your life. So, this Mother’s Day, celebrate the spirit of motherhood and convey your love for your mother with a meaningful Mother’s Day gift. But, if you find it difficult to get a perfect Mother’s Day gift for your mom then, visit our online gift portal that offers you an amazing collection of Mother's day photo gift ideas. Mother’s Day is the right time to tell her that you admire her and that some of your best qualities came from her. If you are wondering about how to express your love for your mother on Mother’s Day then, just check our wide variety of Mothers day photo gifts which will scream your ‘I love You’ louder than your words. So, compliment your mother a little more and thank her for being there with you always with a meaningful gift from us. Photo gifts available on our website consists of Mother’s Day photo frames and designed with utmost perfection. If you are looking for a variety and quality both, then, our Mother’s day photo gifts are the best. Whether you want a wooden frame or a plastic one or a glass one, we have all types of photo frames crafted with unique designs that are surely going to infuse sweetness in your Mother’s Life. If you are looking for a perfect Mother's Day photo frame online, you can visit our website, select a photo frame for your mother from our collection and click ‘Buy’. Once your orders get placed, our delivery team will deliver your ordered gift just within a few hours. Yes, FlowerAura ensures same day delivery of gifts to make your online gift shopping experience a happier one. We have both single and collage frames. So, if you want to make a special Mother’s Day photo collage for your mom, you can order a photo frame online from us accordingly. With the aid of our online gift portal, you can now also send a photo frame online to your lovely mom on Mother’s Day. Yes, if you live away from your mother, make a surprise visit or send a beautiful photo frame that will bring a beaming smile on her face. When you cannot express what do you feel about your mother in words, order a Mother’s Day photo frame online from FlowerAura. This gift will expressively narrate all your deepest emotions, respect and the love for your mom. Whenever you are away, this photo gift will remind your mom of you. Thus, all our photo frames are like keepsake gifts that your mother can cherish for her lifetime. 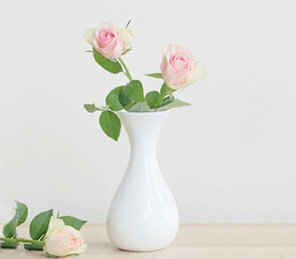 The best thing about FlowerAura is its delivery service. FlowerAura is a punctual online gift portal that has been delivering online gifts on time for more than 7 years. So, you need not to worry about the delivery time. All you have to do is to visit our website, select a photo frame for your lovely mom, and place an order online comfortably seated at your home. Rest, leave on us. Your ordered gift will be delivered to the recipient on time.